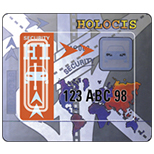 SURYS developed the Holocis™ system based on the application of tamper-evident and personalizable high security optical security labels for the vehicle and its related documents. 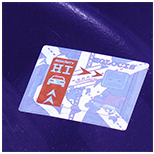 Certificates, license plates and windshield security labels are personalized with a unique number that will link the vehicle’s car plate or frame, the windshield and its registration document together. 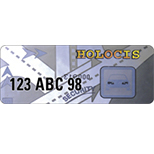 Holocis™ has been used in Poland since 1999 and gave significant results: the statistics report a significant decrease of stolen cars since the implementation of the new system. 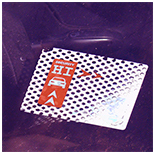 This solution guarantees an immediate control from the police officers and let them know if the vehicle is listed as stolen. The encrypted data is stored in the central database under the responsibility of the State Agency and a specific access can be granted to the authorized users.